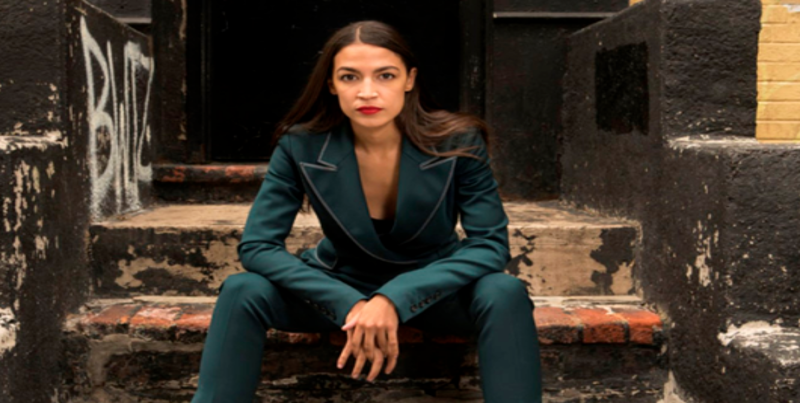 AOC wants to fund a #NewGreenDeal by taxing the wealthy. Its a good start but only a slate of similar tax reforms will lead to a healthy environment and just economy. Like thousands of other “loraxes” of my generation, I spent the greater part of my life working within the confines of liberal democracy with the hope of substantially curbing economic inequality and safeguarding our planetary ecology. ..Anthropocenic plastic crap has just been found in the Mariana Trench 11 kilometers below the surface of the Pacific Ocean. Click To Tweet Economic and social inequality continues to grow at a record pace by almost any measure, and Anthropocenic plastic crap has just been found in the Mariana Trench 11 kilometers below the surface of the Pacific Ocean. Nothing seems unacceptable or sacred. Anyone with any sense of our collective humanity must surely be asking why this is so, and who is responsible? If you want to blame something, you need look no further than a culture which glorifies financial wealth, and voraciously extols the right to pursue boundless personal wealth at almost any cost. With 1% of the world’s population set to own 2/3 of the world’s wealth by 2030, whose fault can it be? The working poor? Welfare Queens? No, it is (most of) the wealthy that are blame. But anyone who believes the ‘work hard and you will get ahead’ myth is equally complicit. Defend this myth and we get what we deserve. Any Wonder Why the Income Gap is Increasing, or Ice Caps are Melting? Adam Smith’s evil Doppelgänger couldn’t have authored a better plan to more fully screw the world. It’s like we invited rich Uncle Horatio over for the weekend, he eats all our food, chops down all the trees in our garden, and steals all our cash as he walks out the door, convincing us all while he’s acting in our best interests! Yet the evidence is clear: the concentration of wealth and the destruction of our planetary ecology are inextricably linked and accrues the benefits of destruction to an ever-smaller percentage of households. ...the concentration of wealth and the destruction of our planetary ecology are inextricably linked and accrues the benefits of destruction to an ever-smaller percentage of households. Click To Tweet This evil correlation is voraciously supported by a matrix of actors – economic and political – peddling the false elixir that markets, principally or on their own, can resolve inequality and environmental destruction. With each new billionaire, the market as a solution obfuscation only gets stronger. We have witnessed over fifty years of heroic efforts in sustainable investment, corporate social responsibility, poverty alleviation, and conservation, and to what effect? We have barely made more than a dent in the unsustainable, unjust, unequal liberal democratic economic juggernaut speeding us towards ecological suicide. Only purposeful policy and regulation, much tax based, will do. The wealthy disagree and demonstrate by overt and covert actions that they will fight any effort to reduce their over the top ill gotten gains made at the expense of many, and the environment. And do not be dissuaded by their Cartoon Economists either. You know the types. They are the ones telling us that the pursuit of financial wealth is the only way to innovate and growth the economy. Hogwash. We need neither 90% of the garbage we call product innovation, nor do we need the material-based economic growth it drives. Fortunately, AOC is forcing us to engage in what might be the most important debate of the century: shall we nurture and conserve our shared planetary ecology on an equal basis? Or shall we continue to allow the special interests of the wealthy to ruin our garden and take our wealth? Given we have about a decade before the IPPC predicted apocalyptic climate change takes full hold, the question is not if AOC’s tax proposal is the right thing to do, but is it enough? Probably not. What we need are tax and fiscal polices that fundamentally reshape production and consumption systems, and our relationship with nature. The slate of example reforms found in the boxes below work to this goal, and have two principle objectives. The first is to excite non-material economic growth over material consumption. The second, is to begin valuing human contributions to society over the narrow, ascendant view that we are nothing more than producers and consumers. Before you judge these proposals, take a moment to consider that the median household income in United States is around $60,000 a year. You may also want to know that the take-home pay of a $500,000 annual salary under the current progressive US tax regime is about $300,000, or $28,000 a month. This is not enough?? access to lifelong education, quality healthcare, meaningful work, and supportive communities living in a regenerated planetary ecology is affordable. Click To Tweet Can you get by on that? Does anybody need more than this to be happy and healthy? If we simply keep doing more of what liberal democratic economies have been doing expecting different outcomes, an environmental Armageddon in our lifetime is not just possible, it is highly probable. My inner Lorax tells me it doesn’t have to be this way. It tells me access to lifelong education, quality healthcare, meaningful work, and supportive communities living in a regenerated planetary ecology is affordable. If the much smaller Swedish, Finnish, German, and Canadian economies support much of this wish list, why can’t America? The audacious AOC tells us we can. It’s up to us to support her and her allies to make it so. Since WHEN has our country been about ECONOMIC EQUALITY?????? Did the Democrats or to quote Alexandria Ocasio-Cortez Cortez, the DEMOCRATIC SOCIALISTS not read Adam Smith’s “A Wealth of Nations”??? We live in a country that instituted the FREE MARKET SYSTEM!!!! We live in a CAPITALIST COUNTRY…And those of us that work hard and keep our heads on straight like it that way! It’s the reason some of us have immigrant parents who came to this country and worked hard to be able to enjoy it! My family came from an “equalistic comunist/socialist environment” and fled it to come here for the opposite! Who told this newbie politician that rich people are responsible for the screwups in district 14 that voted her in????!! Most of us do work hard. Some make a great living too, but why should systemically preclude others from enjoying the same? The liberal democratic system is not made for most to get ahead. That is why there are only 1.3 million people making over $500,000 a year in the USA, and 240 million making less, much much less. In fact, some 80 million living around the poverty line, and its not because they don’t work hard. Most do. And, in about half the cases of the 1.5 million, money is made without working at all….for several generations. I don’t begrudge people reasonable wealth, but I cannot condone suppression of the majority either. Oh and btw, its a false narrative to say either capitalism or socialism – we can certainly be more creative than that. Thanks for your comment.